No sleeves = no problems. 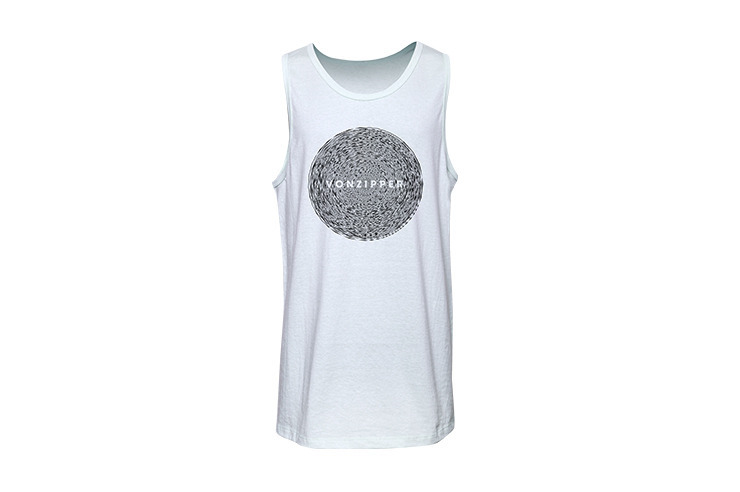 Get with the program in this 100% Cotton tank top by VonZipper. Logo on front.